Odsonne Edouard scored 14 seconds after Jean-Kevin Augustin's equaliser. Odsonne Edouard's close-range finish gave Celtic a hard-earned, but deserved 2-1 win over RB Leipzig in a dramatic Europa League tie. Kieran Tierney thumped home a low angled drive on 10 minutes to give Celtic an early lead, but Leipzig looked like taking a point when Jean-Kevin Augustin headed home with 12 minutes left. Edouard restored Celtic's advantage 14 seconds later after a sweeping attack, and Brendan Rodgers' side survived a late siege, with substitute Kevin Kampl striking the crossbar before blazing an excellent chance wide in the final moments. Celtic are now level on six points with RB Leipzig although remain in third on goal difference with two games left in Group B, though the German side hold a crucial head-to-head advantage. Celtic: Gordon (7), Lustig (7), Boyata (6), Benkovic (7), Tierney v, McGregor (7), (7), Rogic (6), Christie (7), Forrest (7), Sinclair (6), Edouard (8). Subs used: Mulumbu (n/a), Ajer (n/a). RB Leipzig: Mvogo (6), Saracchi (n/a), Orban (6), Upamecano (5), Mukiele (6), Sabitzer (7), Ilsanker (5), Laimer (6), Bruma (6), Cunha (6), Augustin (7). Subs used: Halstenberg (6), Kampl (5), Demme (4). Man of the match: Odsonne Edouard. Celtic looked laboured in the opening minutes - but then scored with their first attack. James Forrest jinked inside Marcelo Saracchi and drove into the box, before cutting the ball back across the 18 yard-line. A handful of players failed to connect with the ball but Tierney, lurking on the corner of the area, collected and smashed it low past Yann Mvogo into the far corner. Celtic set about consolidating their initiative, but there was a worrying moment when Craig Gordon lay prone on the ground after being cleaned out by Augustin as he gathered a through ball. The French striker was booked, and Gordon recovered, before Tom Rogic shot over the bar when well placed, and Ryan Christie also blazed over not long afterwards. Celtic named the same XI from the weekend's game. RB Leipzig made five changes, with Landry Mvogo, Dayot Upamecano, Stefan Ilsanker, Konrad Laimer and Jean-Kevin Augustin coming in. Timo Werner was not in the matchday 18. Two minutes into the second half, Celtic should have been two up. Scott Sinclair broke through with only Mvogo to beat, but the ball stuck under his feet and Edouard could not put away the rebound. Leipzig immediately upped the tempo, and substitute Kampl's shot was blocked by Mikael Lustig, before Filip Benkovic cleared Nordi Mukiele's dangerous cross. The momentum continued to swing back and forth. Celtic came desperately close to a second on 72 minutes, when Forrest fed Edouard on the right of the area. The Frenchman shrugged off Marcel Sabitzer and shot low, but Mvogo got a foot to it to take it past the far post. It was a superb team goal as Sinclair broke down the left and slipped it through to Christie, who hit the by-line and cut the ball back for Edouard to tap home from close range for his 12th goal of the season on his 50th Celtic appearance. Leipzig threw bodies forward in the remaining minutes, and Kampl had two glorious opportunities to level late on. First he hammered a shot off the crossbar from 18 yards, before being put clean through with a minute to go, only to shoot wide under pressure from Lustig. Celtic hung on, but they must now better Leipzig's points total in the final two group matches against Rosenborg and Salzburg if they are to progress to the knockout stages. Celtic have won three consecutive home games in Europe for the first time since the group stages of the Champions League in 2007-08 (excluding qualifiers). RB Leipzig have failed to keep a clean sheet in all eight of their away games in Europe (excluding qualifiers), conceding 16 goals in total. Brendan Rodgers is unbeaten in his last eight games as a manager in the Europa League (W6 D2) since losing his very first match in the competition with Liverpool (vs Udinese in Oct 2012). Brendan Rodgers defeated a German manager in major European competition for the first time at his seventh attempt, drawing one and losing five of his previous six such games. It was a wonderful performance from Edouard, who was not just vital going forward, but did his job at the back too as RB Leipzig looked for their equaliser. But on his 50th Celtic appearance, he was in the right place at the right time and more importantly, did not fluff his lines at the right moment. He did not stop running all evening and was key to Celtic's win on Thursday. 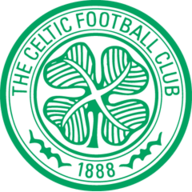 Next up for Celtic is a trip to Livingston in the Scottish Premiership on Sunday live on Sky Sports, with their next Europa League fixture on Thursday, November 29 when they travel to Rosenborg. 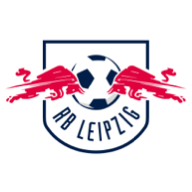 RB Leipzig will welcome Bayer Leverkusen on Sunday and go to Red Bull Salzburg on November 29.